﻿ Vision Hotel Beijing Homepage, Pay at the hotel reception upon check-in, Registration and Credit card are NOT required for booking! 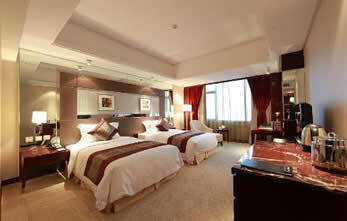 We provide Vision Hotel Beijing room booking at lowest price! The 22-story Vision Hotel Beijing is located in the Haidian district of Beijing, close to Peking University and quite a few high-tech computer malls. Nearby attractions include the Big Bell Temple, Beijing Aquarium, Lama Temple, Olympic Park, National Stadium, Beijing International Convention Center and Beijing Zoo. 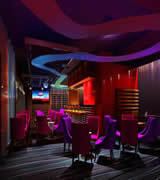 It is close to a subway station and 30 kilometers from Capital Airport. And offers guests easy access to Metro Lines NO. 10 and NO. 13. 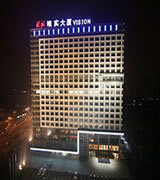 Vision Hotel Beijing features 325 guest rooms and suites, equipped with high-speed Internet access, cable televisions, mini-bars, air conditioning, and direct-dial telephones. Non-smoking rooms, handicapped accessible rooms, wake-up calls and room service are also available. Free wireless Internet access is available. Parking is available on site. Other amenities include gift shops/newsstands and currency exchange.